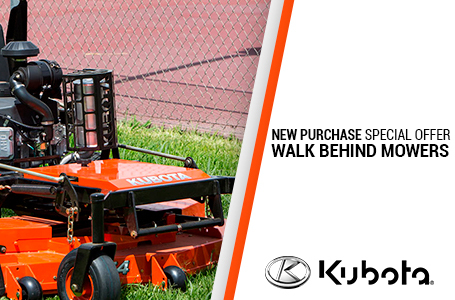 Quick & Agile: The Kubota SZ Series stand-on mower fuses the power and speed of a commercial zero-turn with an agile commercial walk behind to quickly get the job done with no compromises. 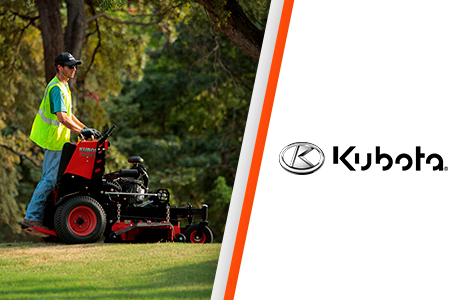 Visibility & Ease On/Off: Standing while mowing naturally provides more visibility than sitting. 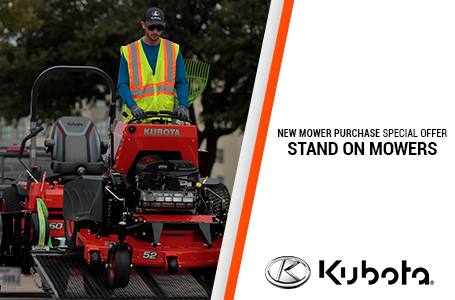 The Kubota SZ series stand-on mower will allow operator’s to see their surroundings to quickly get on and off the machine to pick up more trash more than ever. 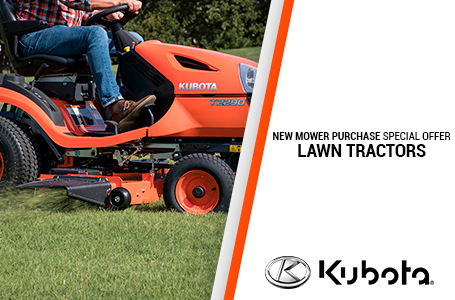 Avoid Overhead Obstacles: Continue to mow with the ability to duck under low overhead obstacles like tree branches with the Kubota SZ Series stand-on mower. 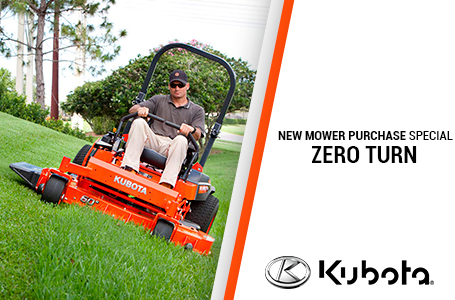 Confined & Tight Spaces: Get into backyard gates or any narrow space with the Kubota SZ Series stand-on mower. 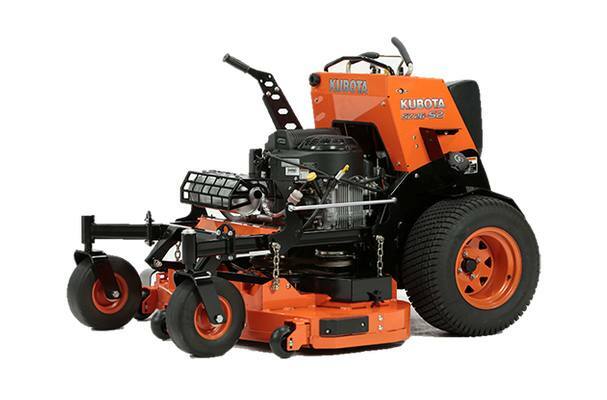 More On The Trailer: With a naturally smaller footprint, the Kubota SZ Series stand-on mower will allow professionals to fit more mowers on their trailers. Ergonomic Cushion Pad: Stylish Kubota cushion pad providing side bolstering and upper thigh support for maximum comfort to the operator. Adjustable Smooth & Dampened Control Levers: The 3 position adjustable damper allows the operator to customize the lever force to meet desired comfort and driving preference. EFI Dial-Type Throttle Control (52-inch model): On the EFI model, adjust the throttle with a simple turn of a dial. Foldable Operator Platform: Have the versatility of standing or walking behind the machine. Tool-less Adjustable Front Reference Bar: Simply turn the front knob to adjust the front reference bar to fit the operator’s hands. Tool-less Control Lever Tracking Adjustment: Avoid double cutting to achieve clean straight lines of cut. Flat-Free Front Tire (Semi-Pneumatic): Forget about the flats on the front tires and reduce downtime to increase time for more cutting. Ease of Maintenance: Being able to access maintenance points are important to keep the machine going for maximum productivity.